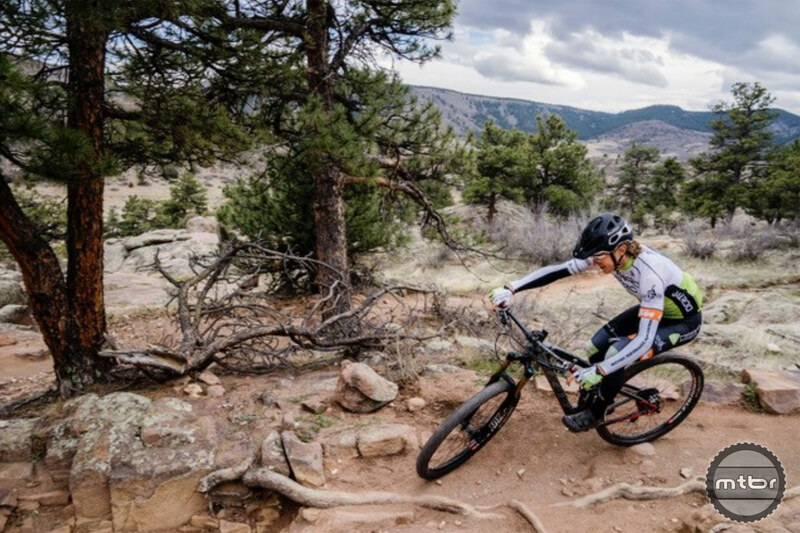 Rudy Project, an Italian maker of cycling helmets and eyewear, has announced a new mountain-bike specific helmet and performance sunglasses combo for 2018. 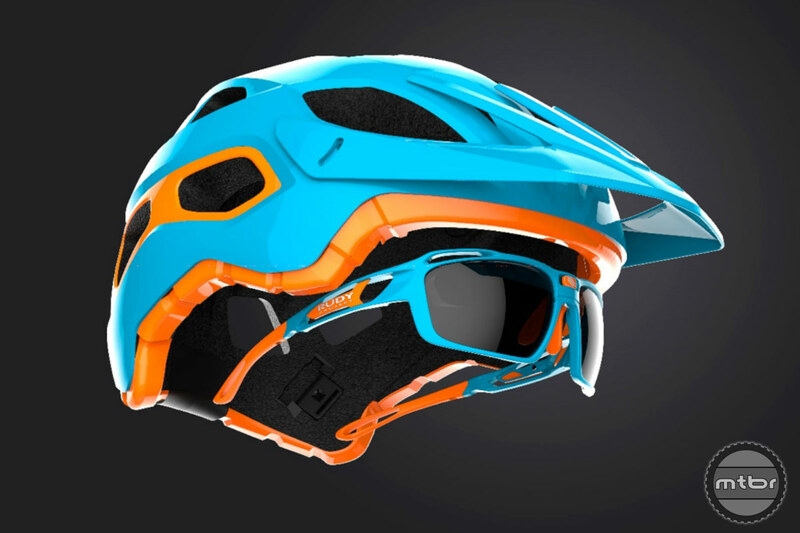 The new mountain bike helmet is dubbed the Protera, while the new mountain bike-specific sunglasses are called the Sintryx and feature a new quick-change lens system and sport fully integrated ventilation and adaptive tips for better helmet compatibility. The Protera’s molded EPS liner is topped with a sturdy construction poly shell in case of impact. Inside the helmet, the RSR 9 Retention System and Divider Pro side buckles, make it easy to dial in a comfortable, customized fit. Riders can leave in Rudy Project’s trademark Bug Stop Net as a barrier against pesky wasps and bees or swap it for the available free pads constructed with Dry Foam and X-Static antibacterial pads for efficient wicking. Meanwhile, the Sintryx is a dual-lens, full-coverage frame that offers high-wrap protection and uninterrupted peripheral vision. A single push on the spring-loaded central logo releases the lower half of the frame, allowing the lenses to be removed without putting stress or pressure on the lenses or frames. Sporting fully integrated ventilation thanks to the Power Flow System and Adaptive Tips for helmet compatibility, the Sintryx also introduces the Ergonose XI – a nosepiece specially molded and co-injected with two polymers for sweat-proof grip and comfort. The Sintryx is fully Rx’able, either direct in frame or with an optical insert, and is available in multiple lens configurations including ImpactX-2, a photochromic lens technology, or Rudy Project’s new Polar 3FX HDR polarized lens technology. The Protera helmet and Sintryx sunglasses come in a collection of colors that includes both eye-popping and subtle shades. 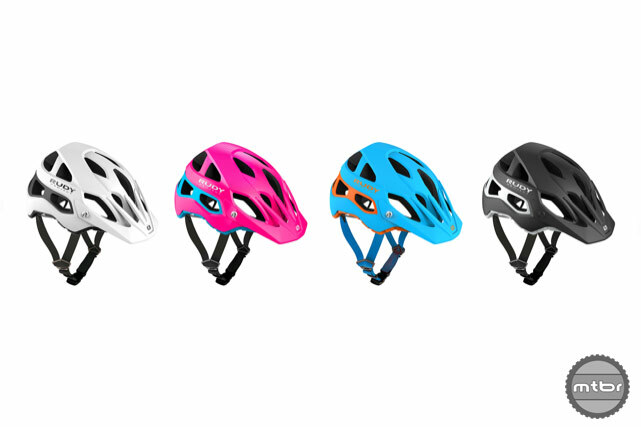 The Protera lineup also includes colors exclusive to North American markets, such as a Pink Fluo Cyan combo. The Sintryx comes in a new Fire Red Gloss, Carbonium, White Gloss, Ice Graphite Matte, Matte Black, and Azur Gloss, with multiple RP Optics and ImpactX-2 Photochromic lens options. 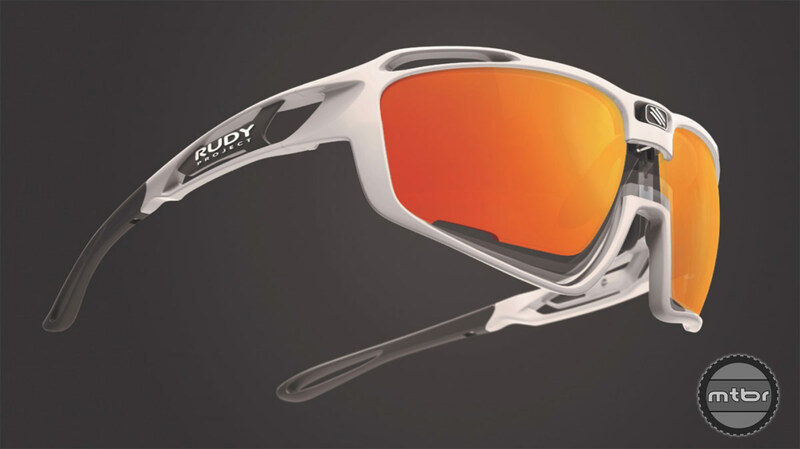 The Sintryx also features Rudy Project’s next generation Polar3FX lens line. The HDR series offers hydrophobic coatings and a mirrored finish. The Protera comes in two available sizes: Sm/M (54-58 cm or 21.2-22.8 in) and Large (58-61cm or 22.8- 24in) and retails for $250. The Sintryx’s nine lens and nine frame configurations can be combined endlessly to give everyone their own custom look. Standard configurations can be found at www.rudyprojectna.com, and retail for $250-$300 depending on lens choice.